The new challenge at Magnolia Forever is Celebrate. 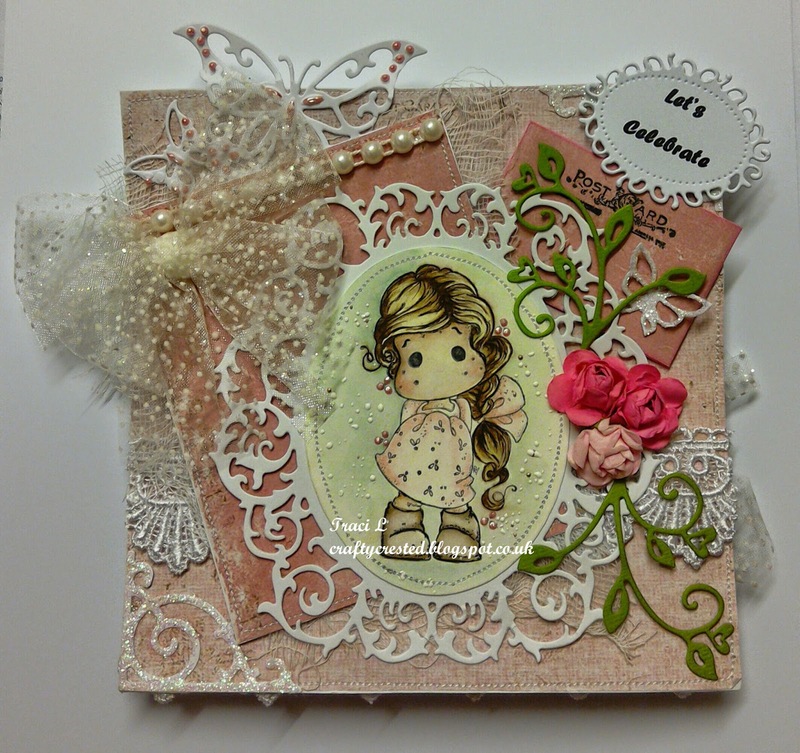 Beautiful card with a gorgeous image and lovely embellishments, thanks for sharing with us at MTTC. The ribbon, lace and dies are all so feminine and gorgeous! Love the touch of frantage too! 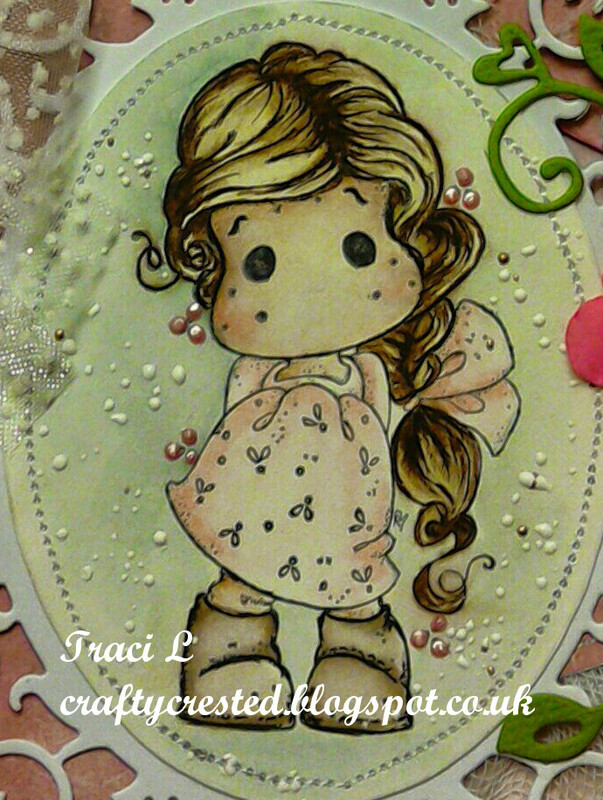 Thank you for joining us at Crafty Gals Corner for our Use Patterned Paper challenge. Beautiful card, I love your colors. She's beautiful...one of my all time favourite Tildas!! Beautifully designed, coloured and embellished...thank you for sharing with us at Simply Magnolia! A lovely looking card with lovely details. Sweet Tilda as well. 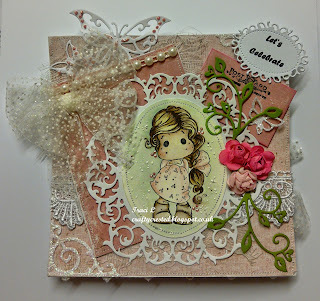 Thanks for joining my bling challenge over at PFP last week. Adorable card - super cute image and fabulous detailing. This is a beautiful card, so many fabulous details. Wow lovely embellishments for this image!